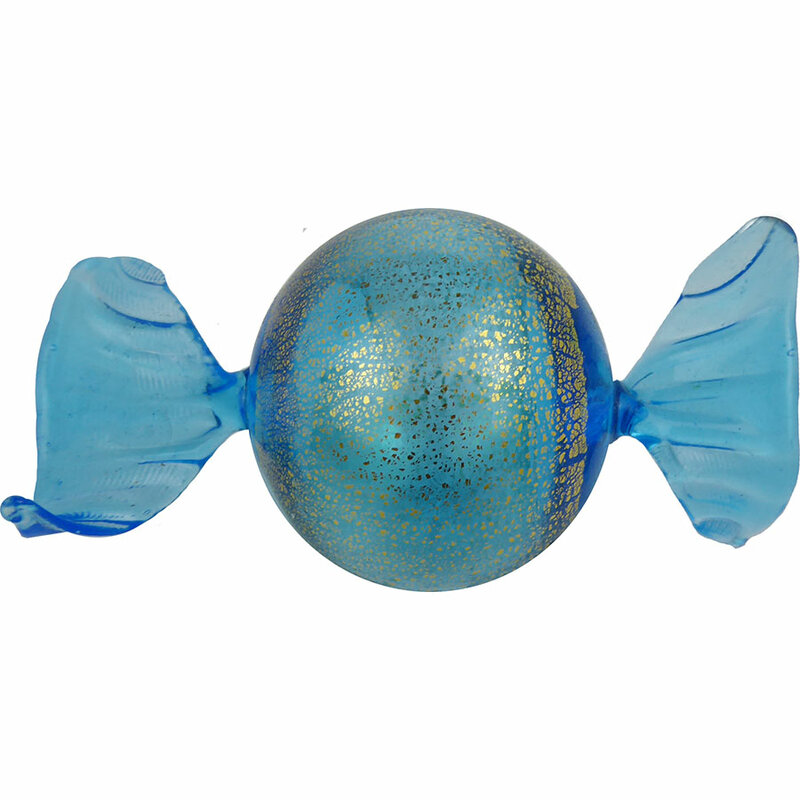 Large blown glass candies with 24 karat gold foil accents. Mouthblown in Murano, these candies are nearly four inches long and two inches wide each. The color is a transparent Aqua with 24kt Gold Foil accents. These make a beautiful table decoration.